Hot on the heels of 2009's 6 track 'Breaking The Silence' EP, The Letter Black return with their debut full length album. The Pennsylvania based 4 piece, formed in 2006, have attracted a lot of attention on the back of tours supporting Skillet and, judging by the reaction so far to 'Hanging On By A Thread', the future looks anything but black. The punchy opening one two of 'Fire With Fire' and 'Invisible' lays down the CDs foundations and the comparisons to Skillet, for me anyway, are immediate. The main difference is that Skillet rely heavily on male lead vocals with prominent female backing and The Letter Black have a female lead singer. Sara Anthony has a commanding yet highly melodic delivery and along with husband (and guitarist) Mark Anthony has crafted a well balanced set of songs. Though a few of the tracks lack a certain immediacy, after several plays they eventually register and then fail to leave. 'Believe' is again very reminiscent of Skillet. Featuring some nice string passages and a strong Mark Anthony backing vocal it's one of the albums instant highlights. Three tracks are carried forward from the EP, namely 'Moving On', 'Best Of Me' and 'Hanging On By A Thread'. All are very strong, both musically and lyrically, bringing to mind both Avril Lavigne and Skillet once more. The use of strings works well throughout and 'Best Of Me' benefits most, containing some of the CDs subtler moments. The song structure of both 'My Disease' and 'I'm Just Fine' made me think of Flyleaf or Fireflight but with stronger vocals and a little less angst. The aggressive framework of 'All I Want' is complimented nicely by the melody overload of 'More To This', both showcasing some great Sara Anthony vocals once more. The albums lyrical themes concentrate, in the main, on relationship issues and also reflect on Sara & Mark Anthony's social conscience. The preaching is kept to a minimum and the religious messages are subtly embedded within the context of each song. 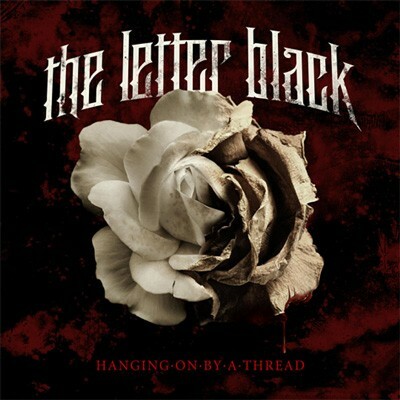 'Hanging On By A Thread' contains no out and out ballads yet there is enough variation to keep the interest levels high and the production & engineering, courtesy of Toby Wright (Alice In Chains, Korn, 3 Doors Down), breathes life into everything nicely and just lets the strength of the material do the work. There are no extended musical work-outs, just a series of 3 or 4 minute instant hits and amongst the 13 tracks on offer nothing I would really call 'filler'. I went to church once, didn't like it and never returned unless under duress. 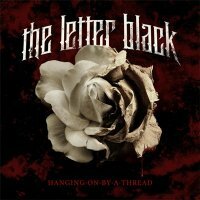 Despite the religious undertones on the full length debut The Letter Black CD, I'll be back for the next one!